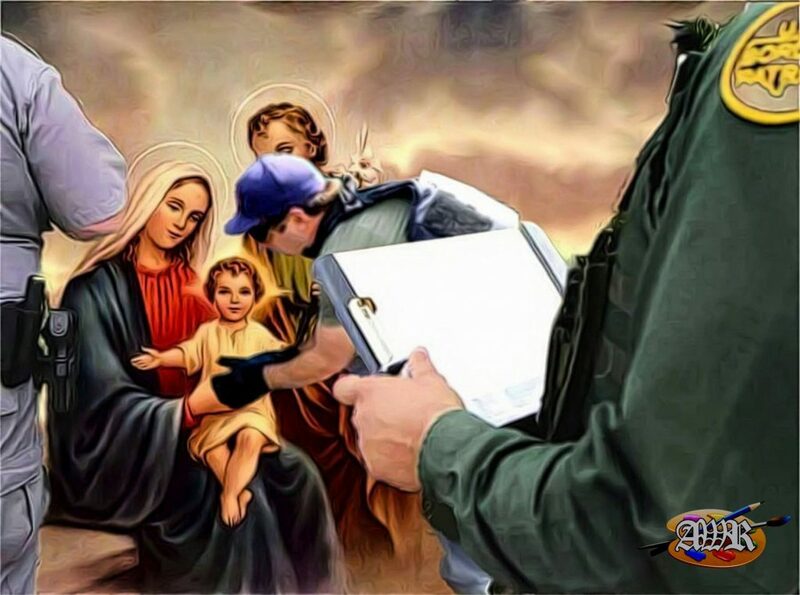 Border Agent: So his first name is Hey-Zeus. How do you spell that? Middle initial? What does “H” stand for? Could you spell that? Look Lady, if you don’t want us to lose your kid, tell us his real name and yours too. “The Virgin Mary” seems like a fake name. That’s not what I have. I’ve got Joseph T. Carpenter. Oh, the husband’s not the Father. Got it. What happened, did He Ghost on you? Okay, so eh, who’s the baby daddy? Could you spell that? YHWH? No vowels? Is that some kind of Middle Eastern name? What do you mean you don’t know? Look Lady, if this kid was born in [checks paperwork] Bethlehem, which is [checks Wikipedia] in PALESTINE, that sounds pretty goddammed Middle Eastern to me. If the Baby Daddy’s Palestinian we need to know. We might have to deport Him. He might be a terrorist. Does the Baby Daddy live in Palestine or does He reside in the United States? He’s in the heart? You mean the heartland? Like Nebraska? Mary, you are making this process very difficult. I don’t know what you are afraid of. If the Father entered the heartland legally there shouldn’t be any problem. I can’t believe that He would abandon His Son. Okay, well that’s all I need. Now this nice lady agent is going to take little Hey Zeus H. Christ for a bath. Don’t worry He’ll return soon. I can’t tell you when. It’s not up to me. I don’t make the rules. I’m just following orders.